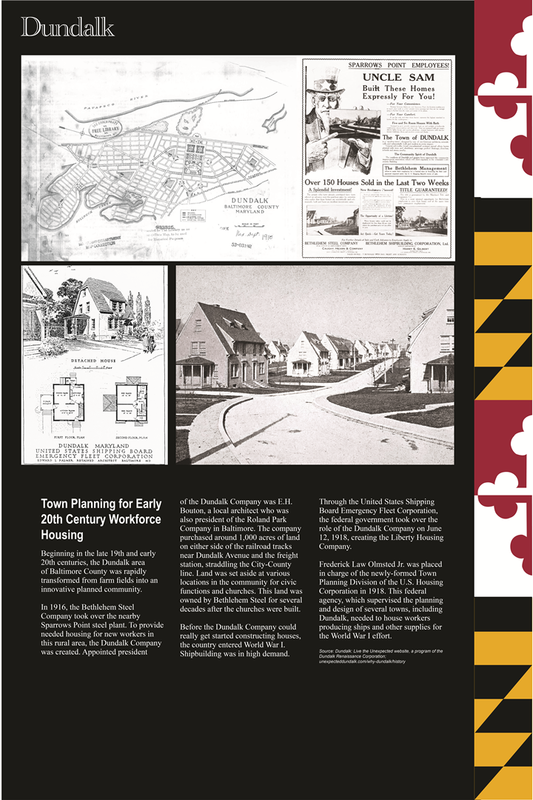 Panels on the extensive Baltimore projects make the case that in few American cities was the Olmsted planning impact greater—with comprehensive planning for parks, residential communities, and urban amenities. 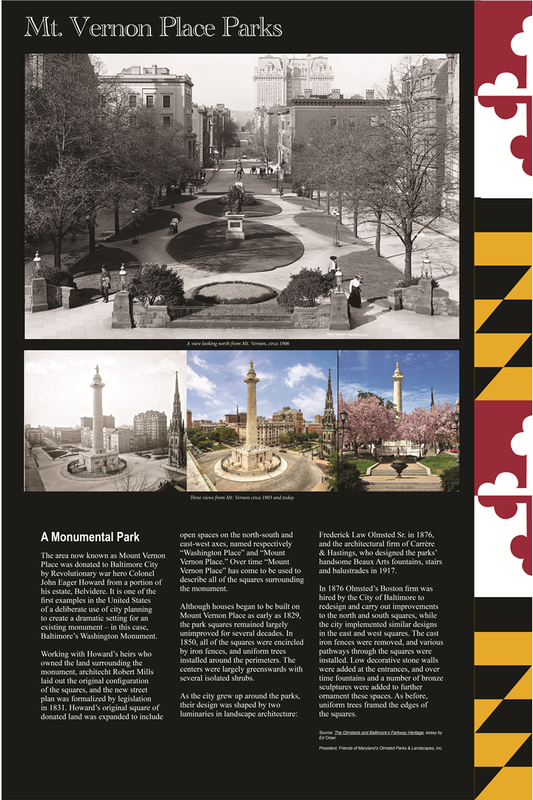 The parks panel highlights FLO’s 1876 design for the grounds of Baltimore’s Mount Vernon Place (supplanted by Beaux Arts-inspired features). But the later role of the Olmsted Brothers, especially FLO Junior, in park planning proved more extensive and of longer duration. 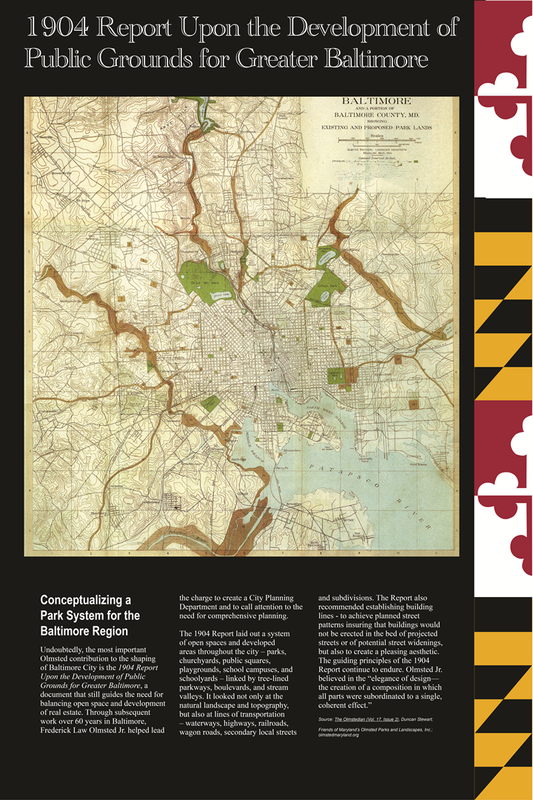 The firm’s 1904 comprehensive plan for Baltimore’s parks laid the basis for the modern park system. 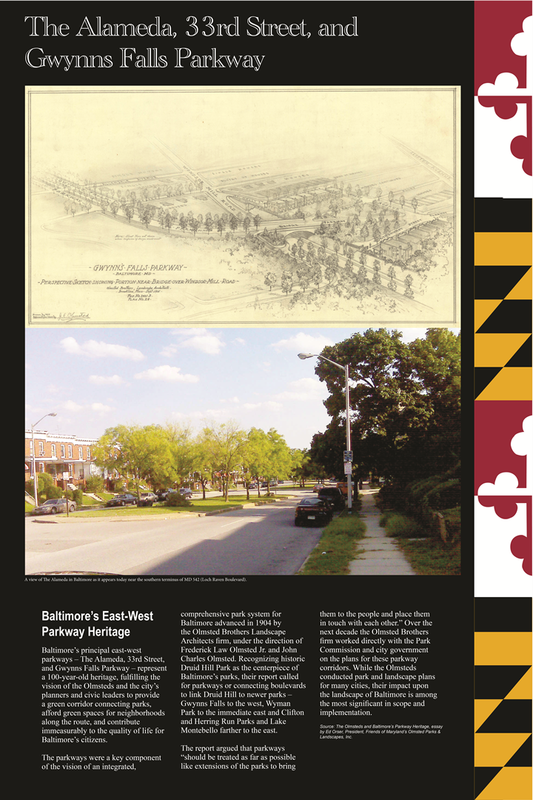 In 2016 the Friends of Maryland’s Olmsted Parks & Landscapes and others succeeded in gaining the City’s historic designation for an East-West corridor of “Olmsted Parkways,” first envisioned in the 1904 plan. 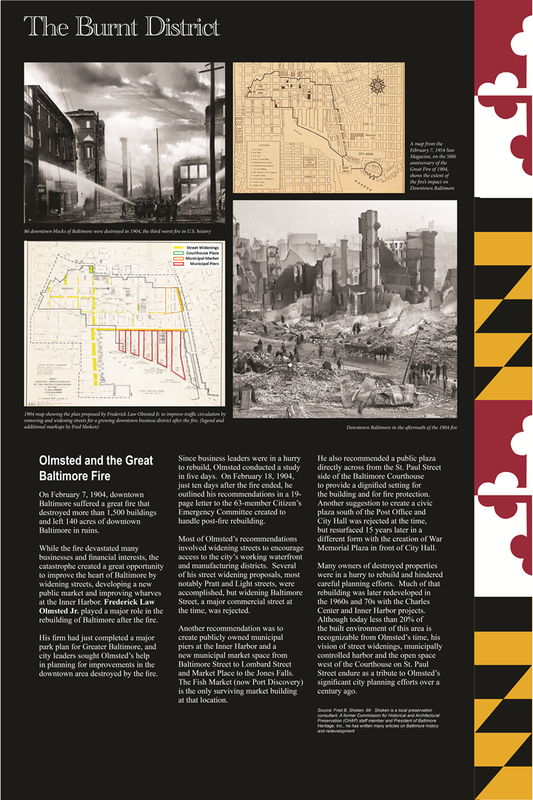 As work on the 1904 park plan was reaching completion, a great fire engulfed a major section of Baltimore’s downtown, and FLO Junior accepted the urgent request to prepare recommendations for the re-design of “the Burnt District,” resulting in wider streets and more open spaces in the city’s commercial heart. The exhibit planners sought out Olmsted projects from elsewhere in the state, selecting two as illustrations. 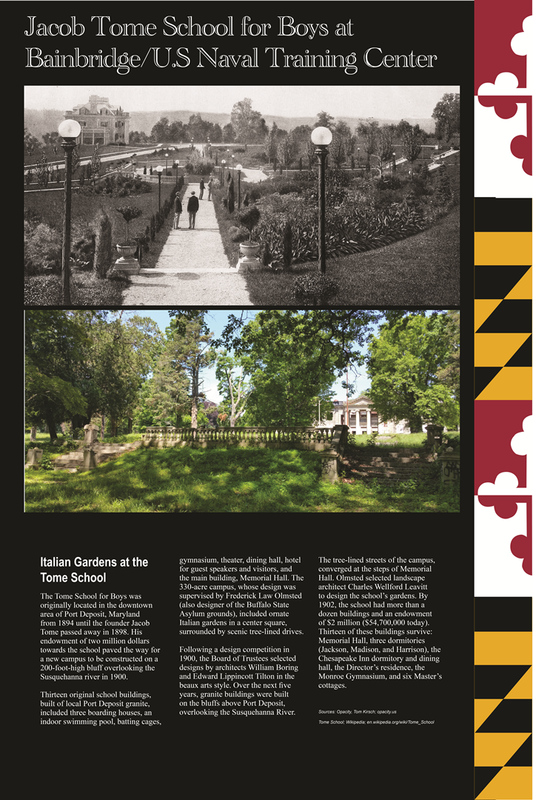 One panel features the role of FLO Junior in the 1906 design for the Tome School for Boys: a set of gardens for its picturesque campus on a bluff overlooking the Susquehanna River. Another panel illustrates the little-known contribution of Junior to residential community planning for working class residents during World War I. While not a direct participant in the establishment of the working class community of Dundalk, FLO Junior was closely associated with the wartime’s first federal government involvement in housing policy. How appropriate that the conference room for one of the first state departments of planning in the country so appropriately recognizes the legacy of the Olmsteds in Maryland. The Department’s public relations officer John Coleman, planner Steve Allan, and graphic designer Jonathan Nichols executed the project. 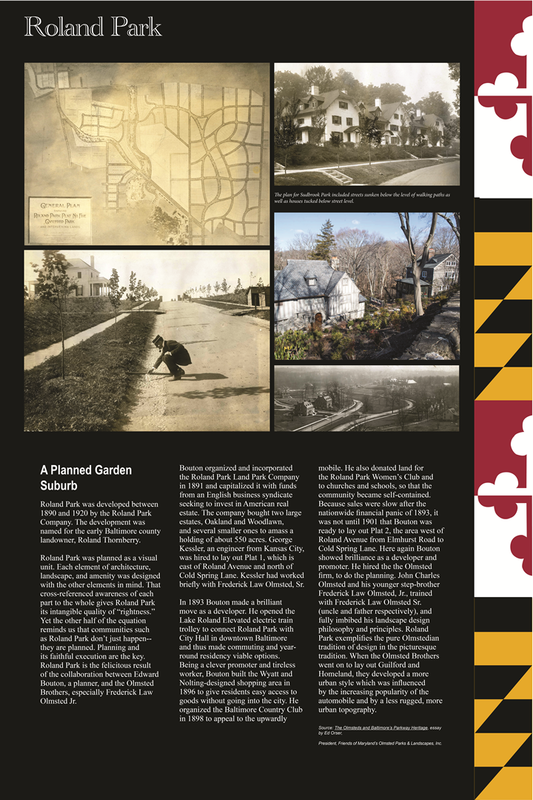 In their research they consulted with members of the Friends of Maryland’s Olmsted Parks & Landscapes and drew heavily upon the organization’s publication, The Olmstedian (accessible in digital format on its website). 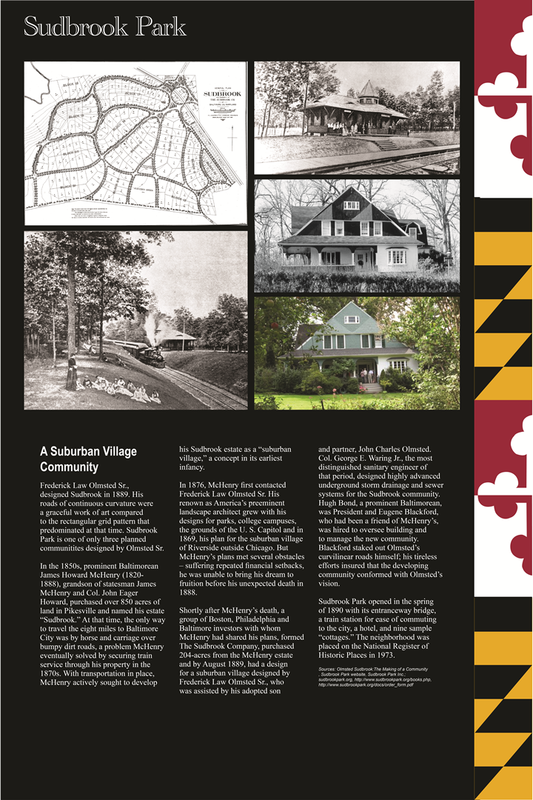 This article appeared in Field Notes (Spring 2018 Volume 35, Number 1), a newsletter of the National Association of Olmsted Parks (www.olmsted.org). Reprinted by permission of the author.